Intervening at a significant moment in Syria’s conflict, the Supreme Leader has insisted that Iran must continue the military campaign against the Syrian opposition and rebels. He proclaimed that Iran’s casualties in Syria — numbering at least several hundred, including 10 commanders since October 2015 — are “a source of pride for the entire nation”. Iranian-led Iraqi, Afghan, and Pakistani militias, as well as Hezbollah and the Syrian militias created by Iran in 2012, have suffered even greater casualties as they led the Assad regime’s fight on the ground. 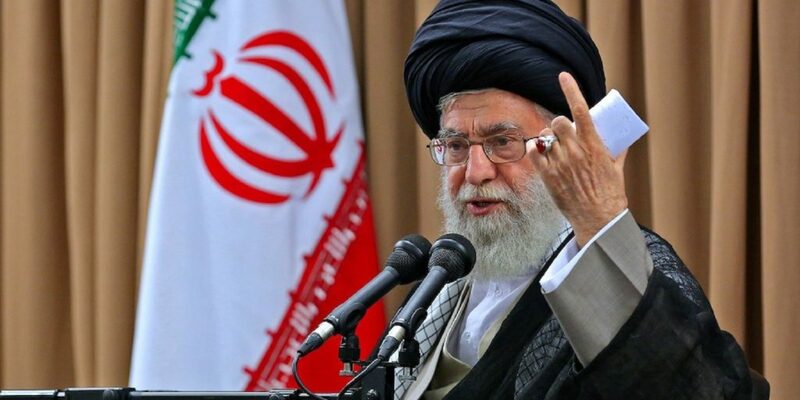 Ayatollah Khamenei’s statement comes as Iran is caught between its “red line” commitment to the future of President Assad, who wants to crush all opposition and rebels, and Assad’s other essential ally Russia, who has worked with Turkey to broker a national ceasefire. Tehran is indicating that it will risk defiance of the ceasefire — and possibly the Russians — with involvement in ongoing assaults to take opposition territory. Local sources and activists say Iran is involved in the offensive by Assad regime and Hezbollah forces to recapture the Wadi Barada area, northwest of Damascus. Iran is also reportedly moving more troops and Iranian-led foreign militias to southern Aleppo Province, possibly for an attempt to take territory around Aleppo city, whose opposition areas were reoccupied by pro-Assad forces last month. The head of Iran’s Parliamentary National Security Commission, who has led a delegation to Damascus and met President Assad this week, said at a press conference yesterday that the “end of the conflict in Syria must be conditional on the elimination of takfiri [deviant Muslim] and terrorist groups”.